While perusing the SAS 9.4 DS2 documentation, I ran across the section on the HTTP package. This intrigued me because, as DS2 has no text file handling statements I assumed all hope of leveraging Internet-based APIs was lost. But even a Jedi is wrong now and then! And what better API to test my API-wielding skills than the Star Wars API (SWAPI)? As usual, you can download a zip file containing the complete SAS program and a copy of this article from the link below. Until next time, may the SAS be with you! So, OK, I'm at my wits end, here. And I've been going crazy trying to find out what this means. It looks like there's some kind of CONN= option in PROC DS2, but I sure can't find anything about it the PROC DS2 reference. So then I saw you got to this by reading the "section on the HTTP package". What section? I've been searching the online doc. and the web version, and I can't find anything about the HTTP package in DS2. Regarding the TATTOINE blog and what got me to here to begin with. 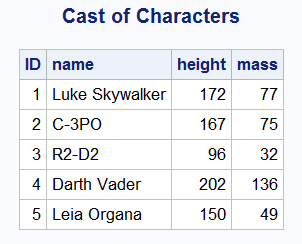 It occurred to me that a real SAS Jedi master would send off the question to wolfram/alpha (https://www.wolframalpha.com/input/?i=how+many+meters+in+200+light-years). Which I tried using the FILENAME url method. And I got back the answer, sort of, but not readily understandable. I thought maybe DS2 had something that would help, but I can't even get elementary code to run. sigh. Were you using the complete SAS code from the ZIP file or did you copy and paste just the RUN() method from the second part and try to run that? If you copied the entire first PROC DS2 step, it should have run - it's a DATA _NULL_ step and shouldn't write output data. The "ERROR: BASE driver, invalid PRIMARYPATH value" message is usually caused by having a SAS LIBREF assigned which points to a non-existent SAS library location. Setting OPTIONS MSGLEVEL=I; will let you see the complete connect string that PROC DS2 is using. This will include connections to every LIBREF assigned in the SAS session, and might help you troubleshoot the problem with your LIBREF. A note of caution: connect strings are very sparsely documented at this stage. The documentation for the HTTP package is in the DS2 Language Reference section titled "DS2 HTTP Package Methods, Operators, and Statements"
Thanks for taking the time to provide feedback and for trying out new SAS techniques. Can you please let us know, how to write the put statement output from data _null_ procedure to a file in DS2 ? Hope this helps. May the SAS be with you! Also, make sure you are running SAS 9.4M2 - that's the version that included the DS2 HTTP package. If you don't have the latest version of SAS to play with, consider downloading the SAS University Edition (see https://www.sas.com/en_us/software/university-edition.html) vApp. 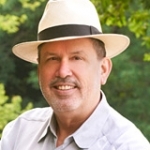 It can update itself, so is a great SAS learning platform! Cool! I can finally find the droids I'm looking for! And you can GET them. And if all else fails, you can try the shopping MAUL.